Last week we introduced you to Goyard's three newest additions to it's line-up of bags and accessories. 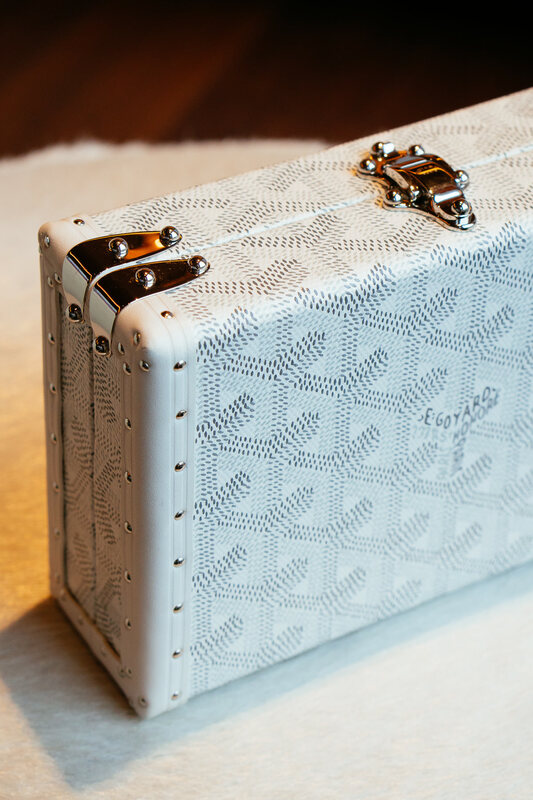 The most elaborate, and the priciest, of these new additions is a mini-trunk clutch, which can also be worn crossbody, and today we have a treat for you: an up-close look at The Goyard Minaudiere. If you're looking for a spacious evening bag, this is certainly not the bag for you. 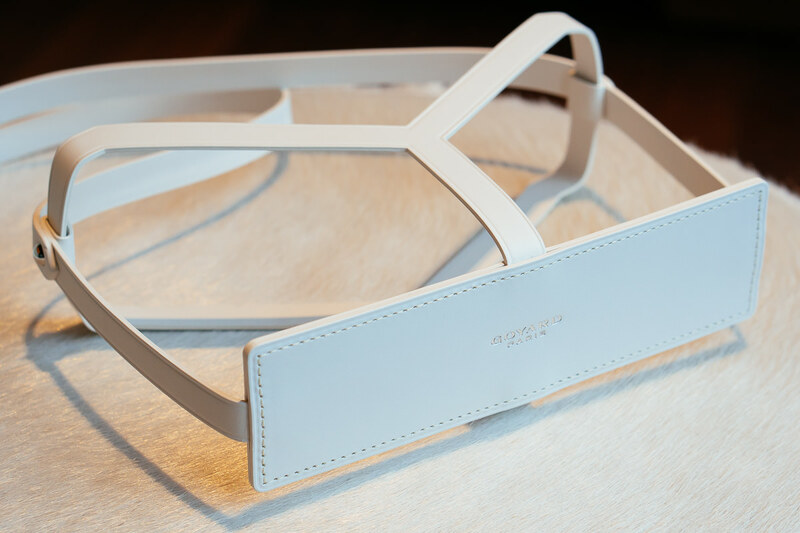 However, it's both super elegant and really cool at the same time, so if you're looking to make a statement, then this is the way to do it. The coolest thing about this mini-bag is the removable crossbody strap, which is really more like a cage. 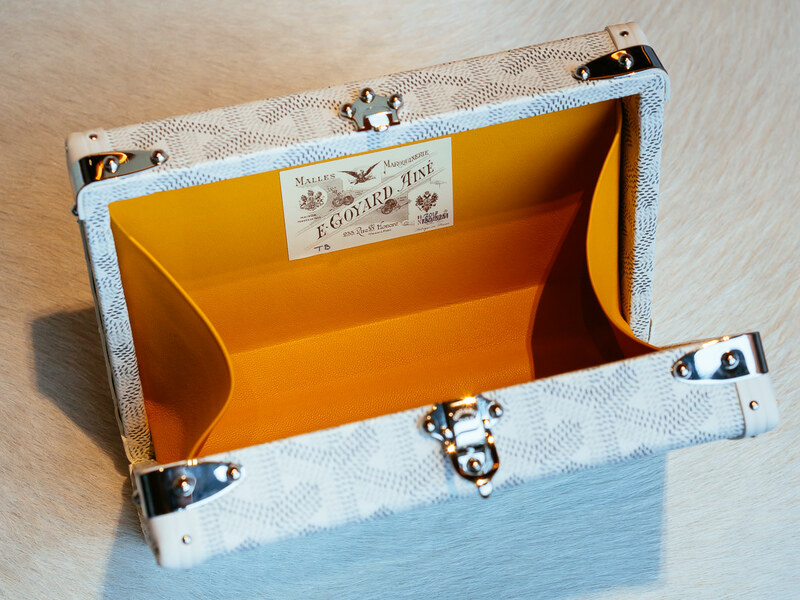 It's like an itty bitty home for this mini-trunk, and I really fell in love with the creative way Goyard approached the idea of the removable strap. I don't ever recall seeing anything else quite like it. Overall dimensions of the Goyard Minaudiere Bag are 6.5" L x 4.25" W x 2" D. The white retails for $4,585 along with other special colors, while the black on black retails for $3,530. To find a store near you visit Goyard.com.